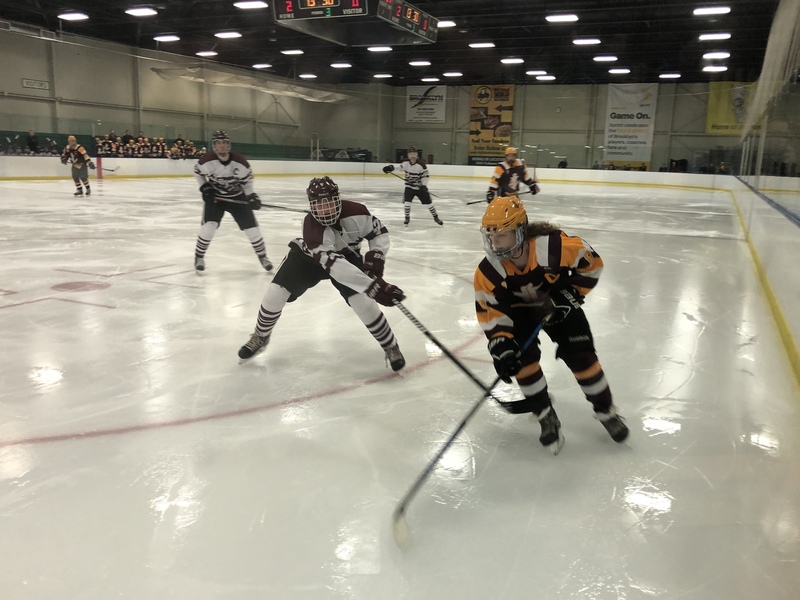 Brooklyn, Ohio – Rocky River defeated Avon Lake 6-0 to advance to play St. Ignatius in the Semi Final of the Brooklyn District Tournament, for an eventual trip to states. After a tightly contested first two periods, the Pirates pulled away late with several thunderous goals in the third period to win it against a very game, very hungry Avon Lake Shoremen squad. Both teams played hard all game, and all season for that matter, and that was on full display tonight. Rocky River shot the puck 15 times and Avon Lake 10 in the first period alone, but neither team could score. Both teams came out with high intensity and earned several good looks at the net. Great efforts by Cameron Stepka of Avon Lake and Ryan Dunning of Rocky River kept the fans on the edge of their seat, but also zeros on the scoreboard. Both teams also had successful penalty kills. Ryan Dunning of River would go on to have a 21 save shutout. Both teams came out hostile to start the second period as the hitting increased and so did the physical play. Neither team willing to give an inch of leverage to their opponent. As the fans intensity matched the players, and the drama in the air became so thick you could cut it with a knife, Rocky River finally broke through. The opening goal came with 5:50 remaining in the second period as Eddie Zuercher won a scamper for the puck in front of the Shoremen net, and put it in. Neither team would score the rest of the period as both were also able to kill powerplays as well. The Pirates blew the door off the hinges with 3 goals in a span of less than 7 minutes to start the third period to punch their ticket to the final four of the district. Rocky River scored 20 seconds in by their all-star Teddy Steuber. Moments later it was Nolan Weaver on a breakaway short-handed goal that broke the back, but not the spirit of Avon Lake. The Pirates would tack on three more before it was over, by Hayden Weaver, Aiden Dempsey and then Teddy Stueber again to capture the 6-0 victory.